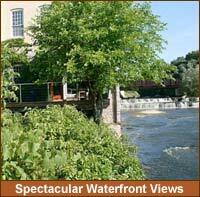 Situated on the west bank of the Sheboygan River, Brickner Woolen Mills Apartments is located in the heart of Sheboygan Falls. Built in 1879, Brickner Woolen Mill produced woolen shawls, coatings, suiting, dress goods and blankets. Brickner Woolen Mills employed eighty people and used an average of 250,000 pounds of wool annually. 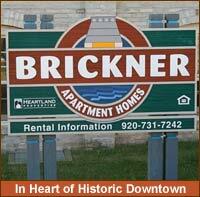 Brickner Woolen Mills was renovated in 1992 into 34 affordable one- and two-bedroom apartments. 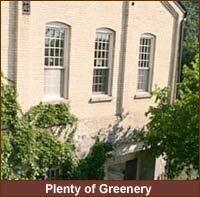 Income restrictions may apply on some units. Read an historical account of the Honorable George H. Brickner.